A couple flying to the vacation of their dreams is torn apart by a violent plane crash. Take on a harrowing quest to find your lost wife. Enter into the dark world of a devastated tropical paradise now plunged into chaos. It is a place where the word "dead" has an entirely new meaning. Face the nightmare and fight for survival. 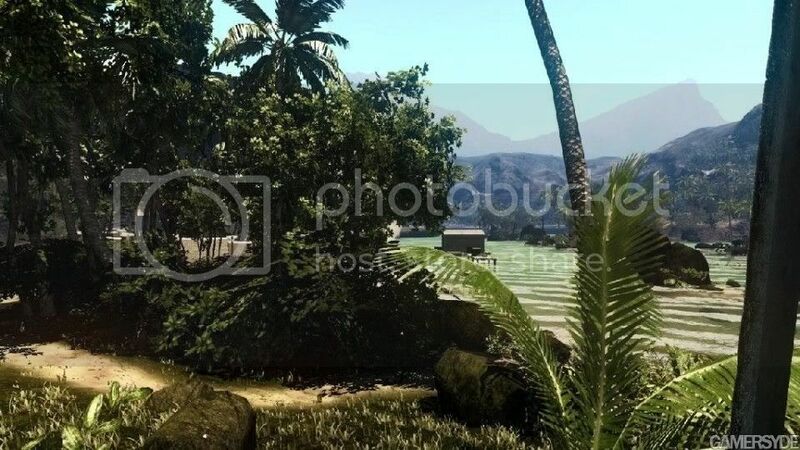 Explore the secrets hidden in the darkest regions of the island and fight your way through. Survival is your main goal! 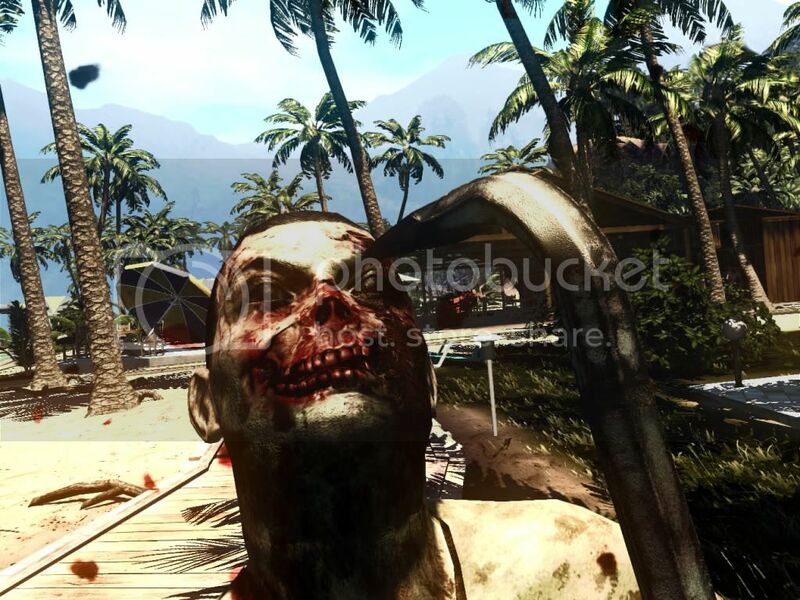 "Dead Island" is a non-linear FPP (First Person Perspective) survival horror title. 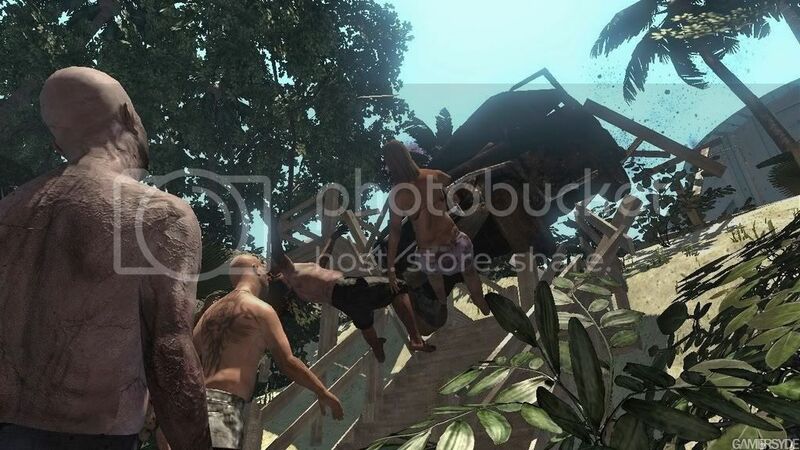 The ultra-realistic combat system will ensure that every confrontation is a thrilling experience. Use anything you find in your surroundings as a weapon. Make decisions that influence the entire world around you. Take advantage of opponent behavior and game physics. 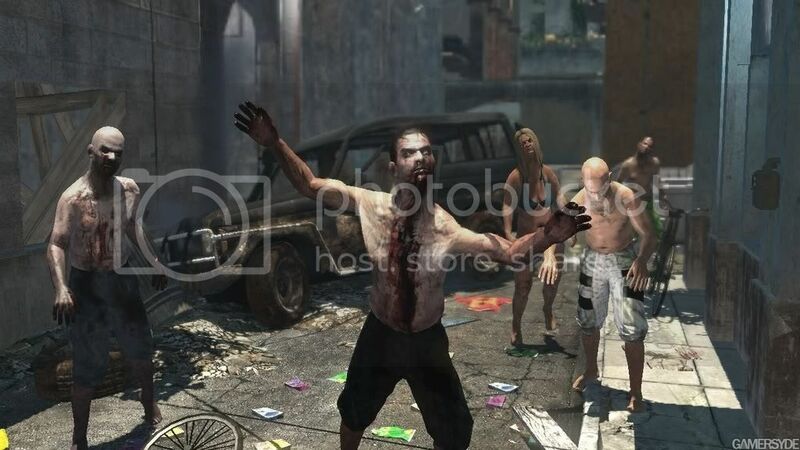 "Dead Island" is a mix of intense action and chilling horror environments in an engaging, strikingly realistic story. tik spocigu trilleri ups treileri veel nebiju redzejis! Viens no foršākajiem treileriem, kāds jebkad redzēts. Ja pareizi visu esmu sapratis, tad uzsvars būs uz melee combat - te var daudz kas aiziet greizi. Laikam mana vēlēšanās pēc Resident Evil + GTA sāk lēnām piepildīties. Ļoti gribētu, lai džeki uztaisītu labu sižetu, lai nav tukša zombiju slaktēšana smilškastē.